Remove years of oxidation and restore dull, weathered fibreglass to a high gloss finish. This unique blend of micro-abrasives become smaller and finer as you polish. WOODY WAX COMPOUND will not harm your gel coat because of the diminishing abrasives. WOODY WAX COMPOUND also contains lubricants, oxidation removers and waxes that actually penetrate the gel coat to restore the fibreglass to a factory showroom finish. Restore sun faded fibreglass that has been dried by pollutants, acid rain, salt exposure and extreme elements.We know there are those of you who wouldn't think of finishing their boat with anything but a good compound. Contains oxidation removing components that break down oxidation as soon as it is applied. 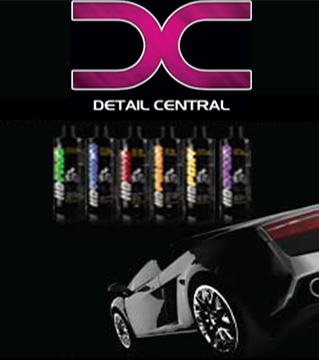 Contains a diminishing abrasive that gets finer as you polish, leaving a super high gloss finish. (High gloss finish in 1 step not 2 or 3!). Contains lubricants that reduce friction and heat, while aiding in the ease of application. These lubricants allow for use by hand or a high speed buffer without fear of damaging your finish. Contains waxes that penetrate into your gelcoat bringing out the original color and protecting your finish so you don't immediately have to apply a coat of wax on your new finish as you would with other compounds. As soon as ultra-gloss is applied, it starts to break down oxidation on the surface, so a ten minute lead time will actually make the surface better prepared for your buffing and compounding. Ultra-gloss will not dry on the surface. Ultra-gloss compound has a special abrasive that starts as a mid-grade compound and becomes finer as you buff ending up as a super fine polish. This process brings up the ultra gloss and showroom finish your boat once had. Ultra-gloss with its diminishing abrasive allows you to complete all the steps necessary to bring badly oxidized or dull fibreglass up to a high gloss finish in just one step. Ultra-gloss can be used by hand or by machine buffing. Because the abrasive becomes extremely fine along with the lubricating qualities in the compound, it allows you to use a high speed buffer without fear of burning or harming your gelcoat. Finally, when you are done your new high gloss finish is already protected with wax, so you don't have to go back and apply a coat of wax.